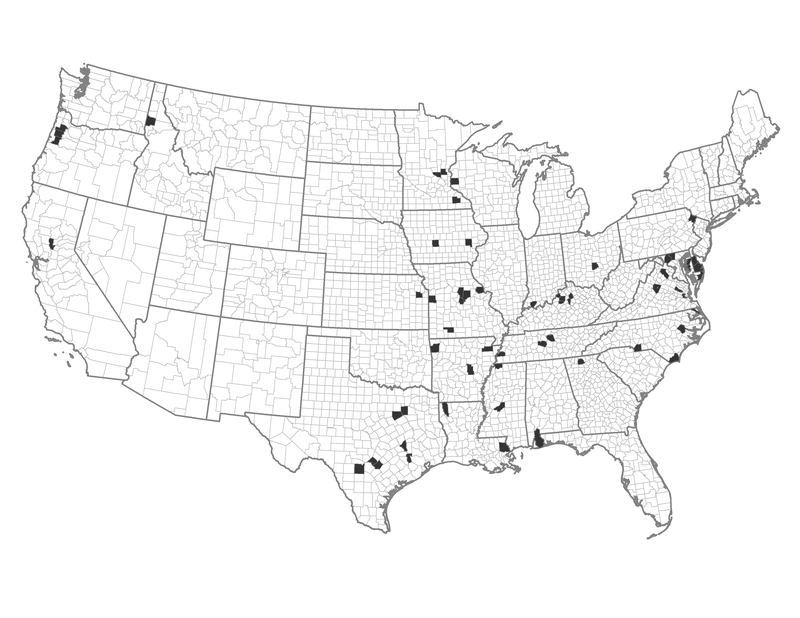 These counties lie within southeastern and Midwestern suburban communities. These areas have a higher demographic advantage and lower fire occurrence. Example of a Typical County — Craighead County, Arkansas: This county includes the University town of Jonesboro. Crowley’s Ridge’s privately owned forests are surrounded by bottomland agriculture. Reduce accidental ignitions through enforcement or outreach.